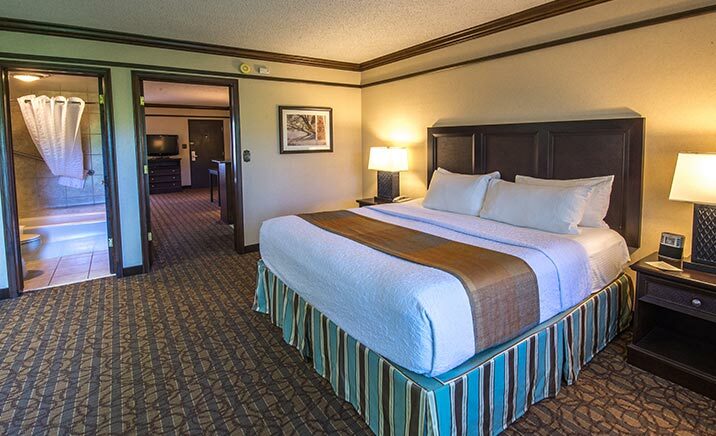 Relax, work and feel at home in our well-appointed accommodations in the heart of the Arkansas Ozark Mountain Region. 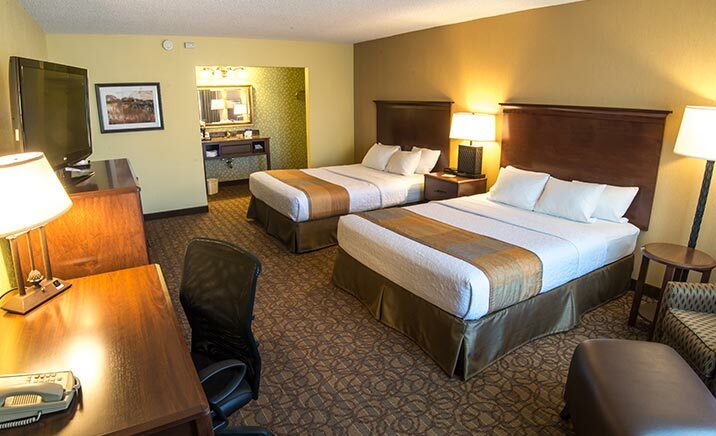 The Best Western Inn of the Ozarks features 122 guestrooms and suites with warm decor and modern conveniences that make your vacations and business stays enjoyable. Sleep peacefully in beds with plush top mattresses, watch a movie on the flat screen TV, and grab a cold drink from the fridge. Stay connected with free Wi-Fi and catch up on emails at the work desk. Stretch out in our spacious suites with a separate bedroom and living room with a wet bar and sofa. Many of our rooms have private balconies with scenic views of our wooded resort and pool. Spread out in this spacious room with two queen beds with plush top mattresses and lifestyle amenities, such as flat-screen TVs with premium cable, voice mail and complimentary Wi-Fi. Microwaves and refrigerators are available upon request. 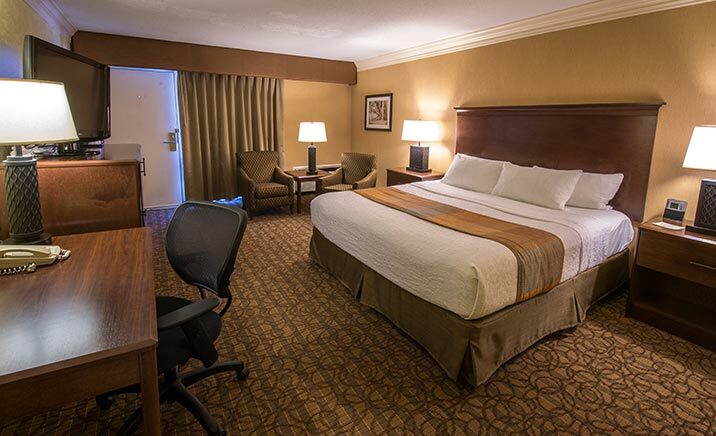 Enjoy the comforts of this oversized room featuring one king bed with a plush-top mattress, flat-screen cable TV, desk, voice mail and complimentary Wi-Fi. Several King Rooms feature a balcony, whirlpool tub, a refrigerator, and a microwave. Perfect for families and business travelers, our suites feature a separate bedroom furnished with one king bed or two queen beds. Relax in the living room with a wet bar, sofa, flat-screen TV, microwave, and a refrigerator, or walk out on to your private balcony.